The Bitcoin cloud mining service has resumed offering hashrate from the AMHash farm operated by AsicMiner and RockMiner after a few days of not providing hashrate. 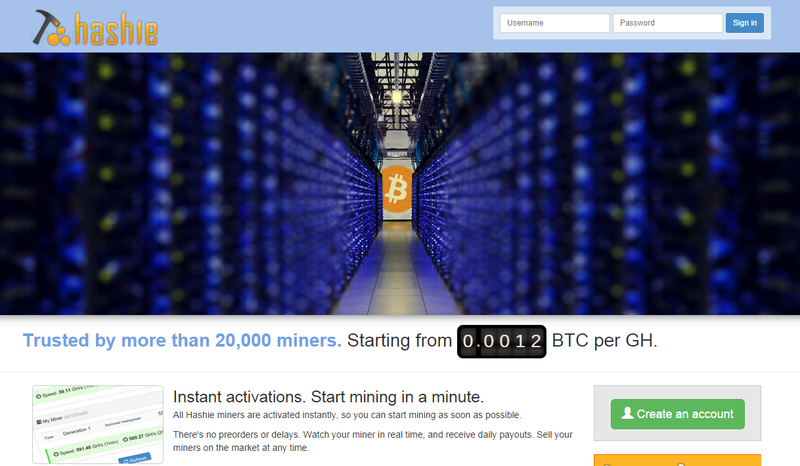 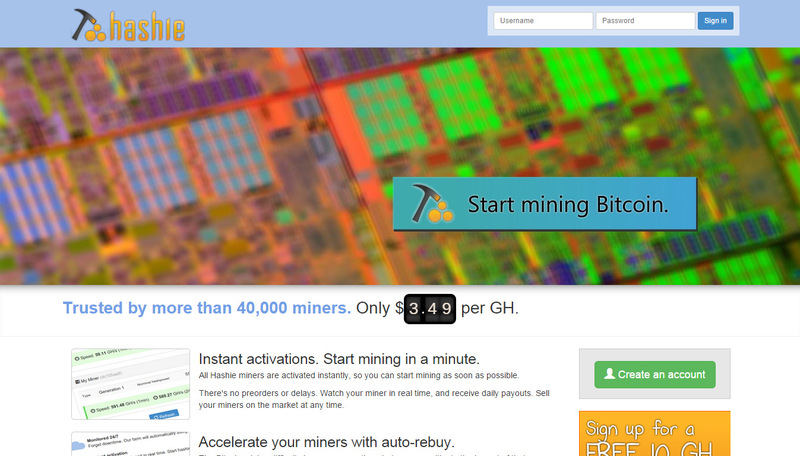 The price per 1 GHS is still 0.0012 BTC, but the maintenance fee is now down from $0.00163 to $0.00153 USD per GHS per day and you’ll also receive $23 USD per THS when AMHash is no longer profitable to mine – an insurance against Bitcoin’s price dropping or the difficulty climbing too fast. 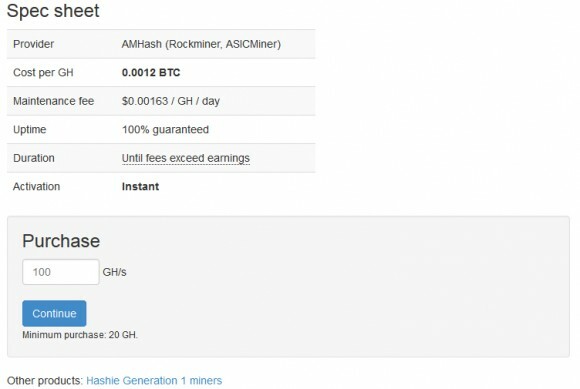 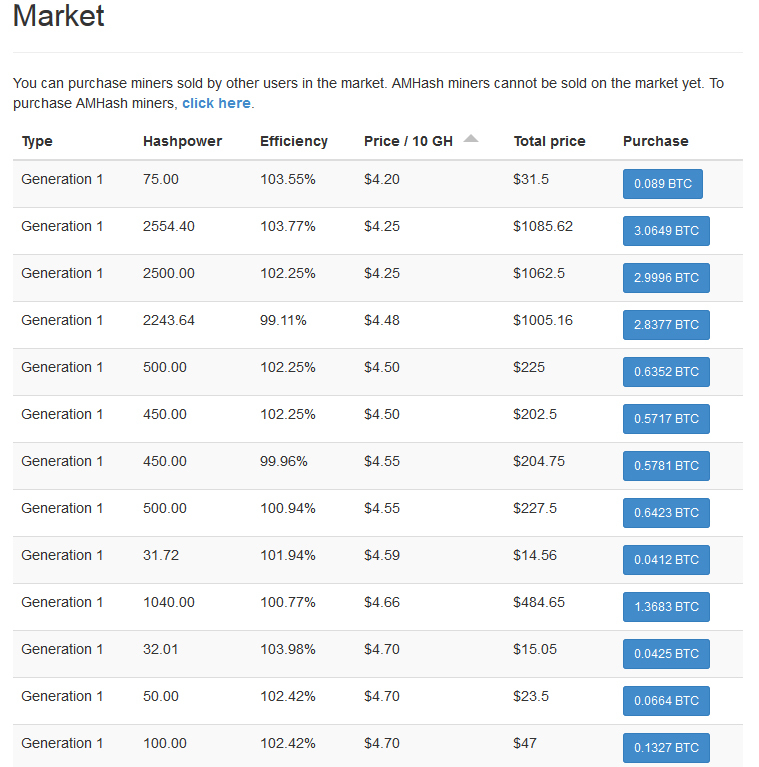 This is currently among the best offers for Bitcoin cloud mining hashrate that you can purchase from services that are confirmed to actually have mining hardware and Hashie is officially listed as a partner for the AMHash mining farm if you are concerned about the reliability of the service. 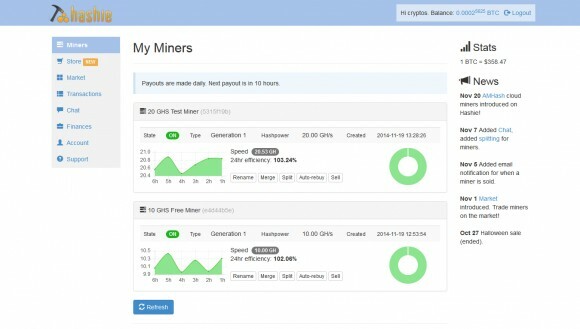 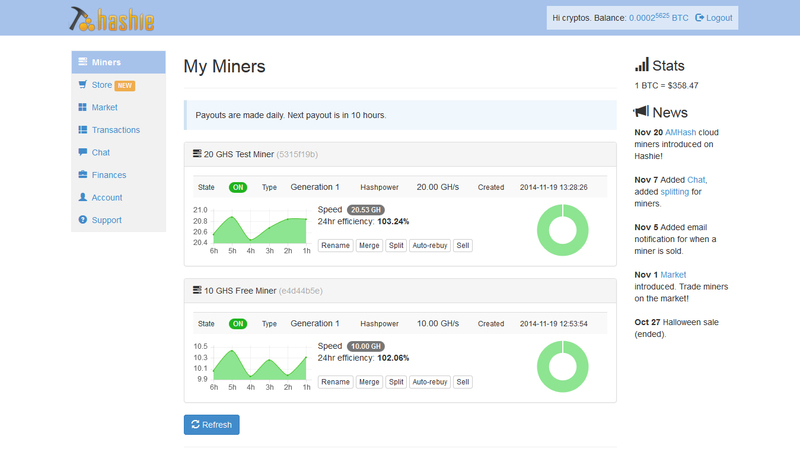 In fact this is the only partner that provides a more user friendly mining environment for the hashrate that you purchase and a market where you can actually sell your purchased hahsrate to other users. 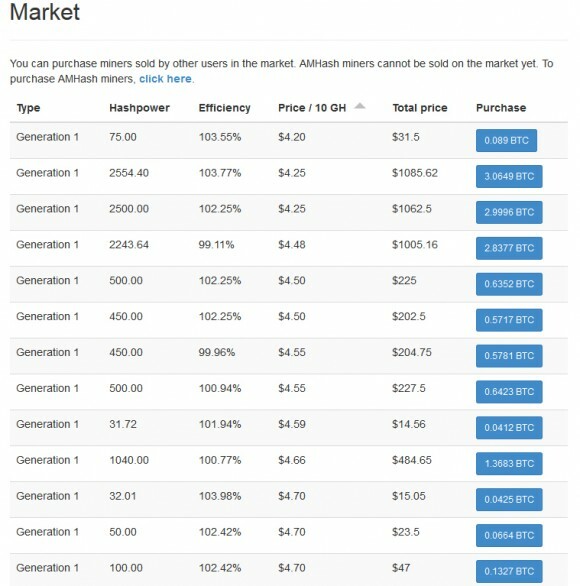 You can also directly purchase from AMHash or through Havelock Investments with very similar terms, but limited functionality, and there are also some additional large volume discounts available. 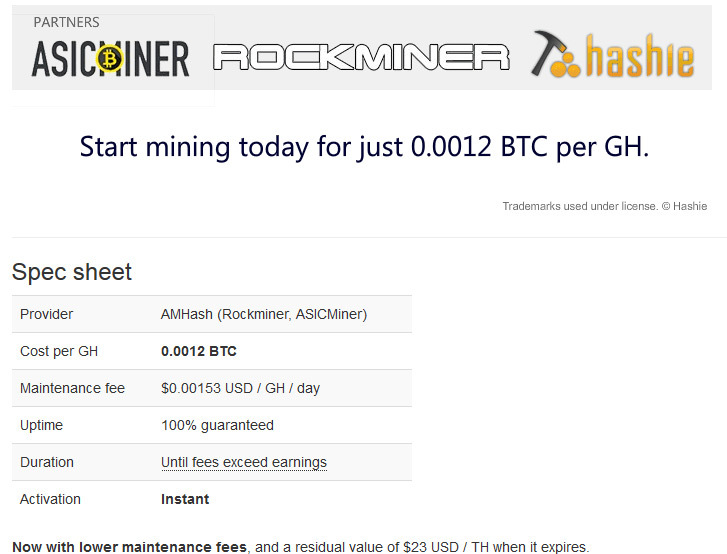 With Hashie you can also get a 10 GHS free miner after your registration to test the service before actually having to buy anything.